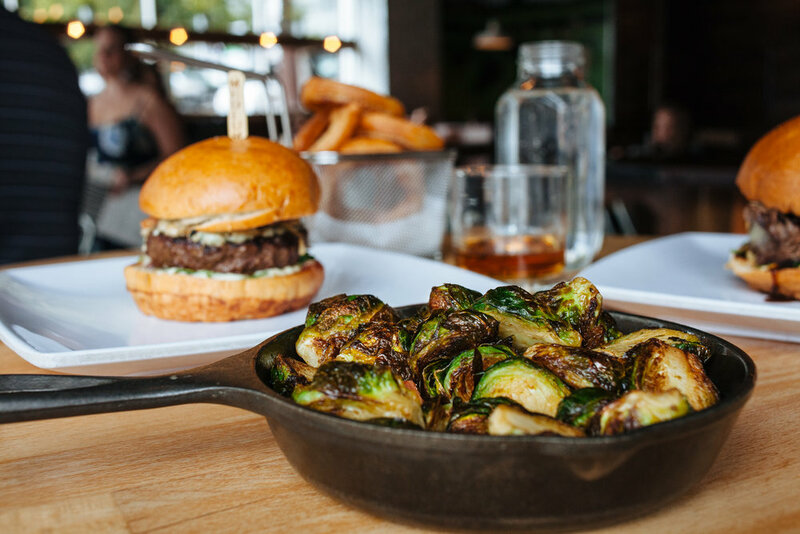 Using organic, local and sustainable ingredients, our award winning burgers deliver distinctive and unique flavors. 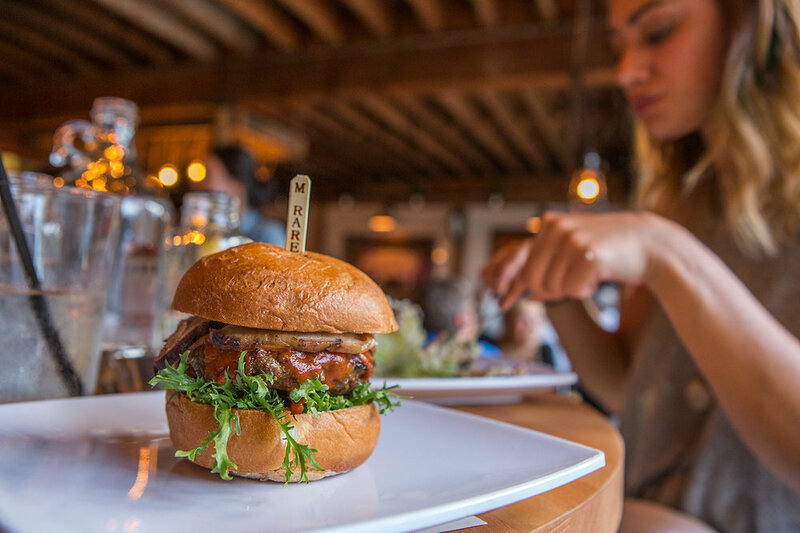 8oz Burger & Co. is committed to sourcing the best local and sustainable organic ingredients. 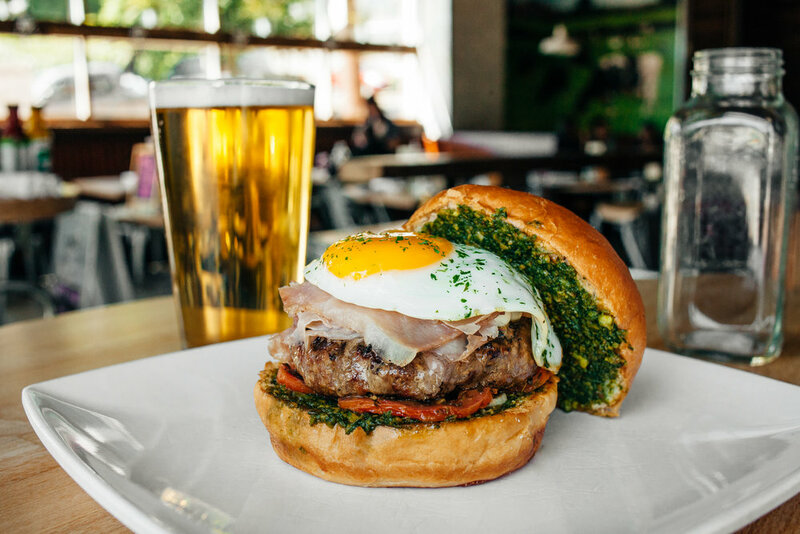 Keeping in mind the foundation of a delicious burger, the focus is on the quality of the meat and bun while incorporating creative and delicious accompaniments to complement each burger. With over 16 burgers to choose from, there are plenty of options to suite every flavor profile. 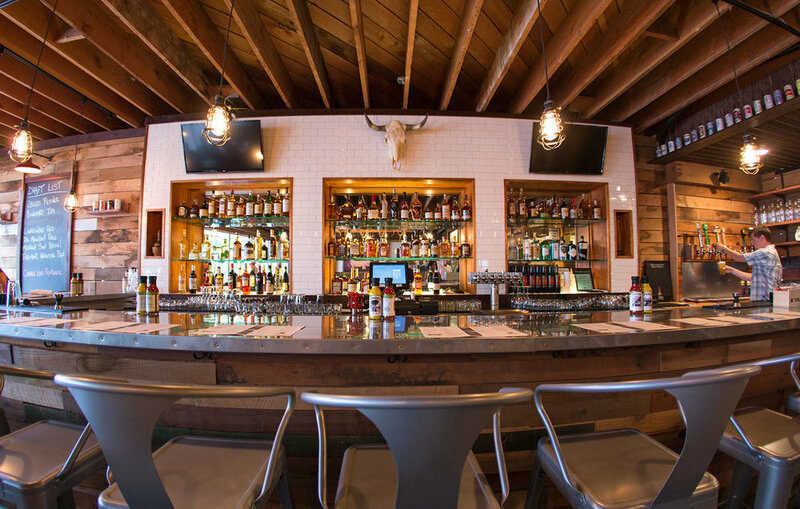 This family friendly neighborhood spot also offers a full bar with local drafts, hand crafted cocktails, and over 50 whiskeys. Set in a modern-rustic interior, this old-meets-new environment offers patrons a comfortable and welcoming place to dine. Free 60 minute underground parking. Our house blend patties are made from naturally raised, antibiotic free, hormone free, 100% local black angus from Open Prairie located in Pasco, WA. Our buns are freshly baked 100% organic brioche from a local bakery. Substitute a Vegan Pretzel Bun for $1 or Gluten Free Bun for $2. Substitute a lettuce wrap at no charge. Raclette Burger - Our house beef blend patty, cabernet onions, roasted cremini mushrooms, green peppercorn aioli, herbed raclette cheese served table side for a limited time.